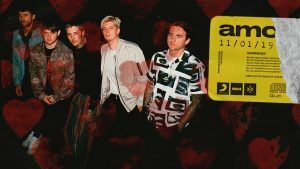 On November 30th, a fan died during Bring Me the Horizon’s performance in London. As reported by Blabbermouth.net, Griffin Dickinson (Bruce Dickinson of Iron Maiden’s son), allegedly wrote on social media: “Please please please look out for people around you. Don’t leave it up for someone else. If someone looks unwell, CHECK on them. In any situation, on a tube, at a gig, whatever. I feel like British ‘awkwardness’ gets in the way of helping people. Don’t be afraid to call an ambulance. Don’t act like it ain’t your business. ACT on it. Rest in peace to that dude. Thoughts are with his family. No further information is officially being released at this time.